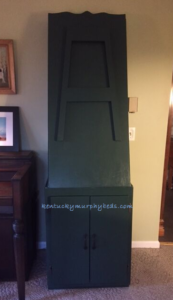 Murphy Beds of Central Kentucky creates accessory furniture to match your Murphy bed. Bookcases, closets, open desks and file cabinets are some of the choices. 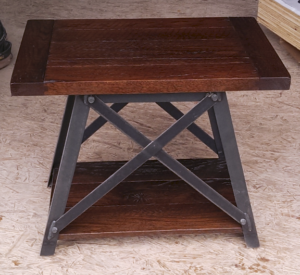 This new desk-table design is the perfect compliment to your Murphy bed cabinet or as a stand alone unit. 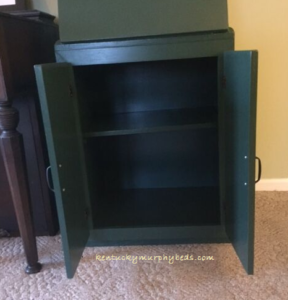 Unique to the Murphy design is the ability to open/close the furniture when you want it. 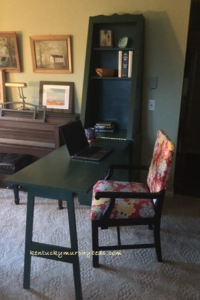 This desk surface is large enough to spread out your work, then hide it away when done. Keep office supplies and bins in the bottom closed cabinet or on the open top shelves. Do you need a table for a quiet dinner for two? Maximize the space in a bedroom, office, kitchen, living room, efficiency apartment, tiny home, or cabin! 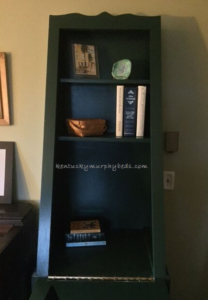 The convenient shelving allows you to stow office, kitchen, or even art supplies! 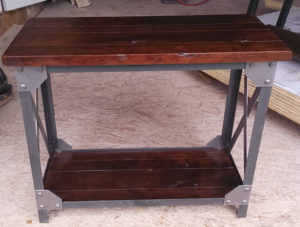 Contact us today to design your Murphy desk-table cabinet! Wow! 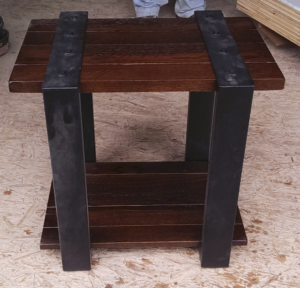 These tables are beautiful combinations of oak and metal. Select from your choice of five wood finishes for a custom color. 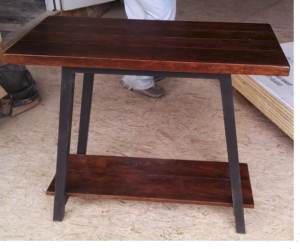 Contact Murphy Beds of Central Kentucky to order your tables today! 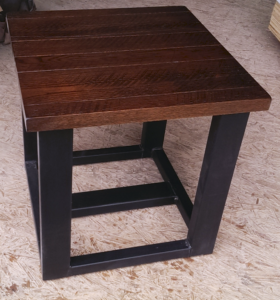 All table prices include delivery within 150 miles of Harrodsburg, Kentucky. 6% KY sales tax will be added to all orders. Set of 2 End Tables, 1 Coffee Table and 1 Sofa Table $1639. 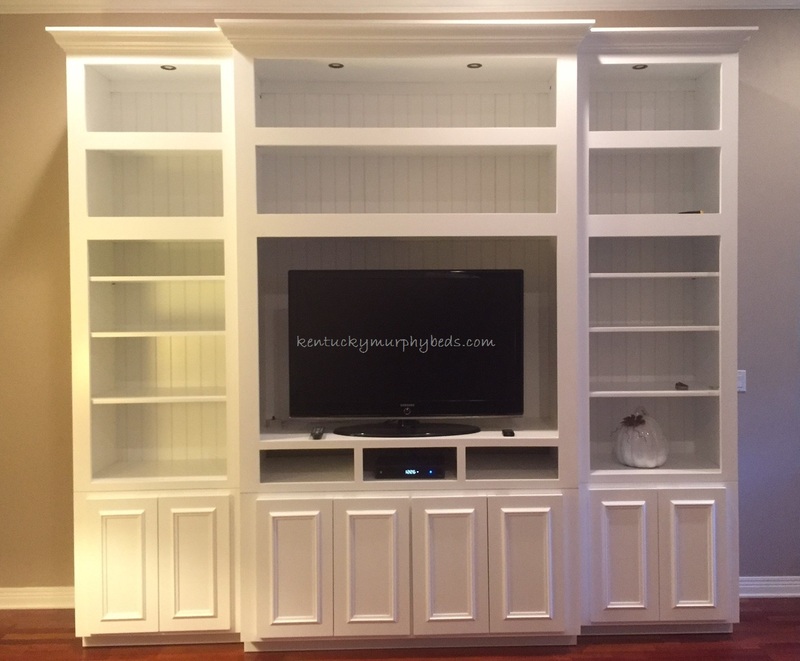 This stylish Amish crafted entertainment center is made of white painted MDF. Tupper Hardman designed this unit to meet the space needs in a room with 11 foot ceilings. The base unit has closed cabinetry. Open shelving of various sizes holds all your entertainment equipment, DVD’s, books, and treasures. Can lighting in the top illuminates the upper sections. 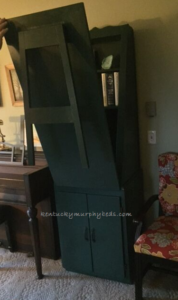 Contact Murphy Beds of Central Kentucky to design your entertainment center today.